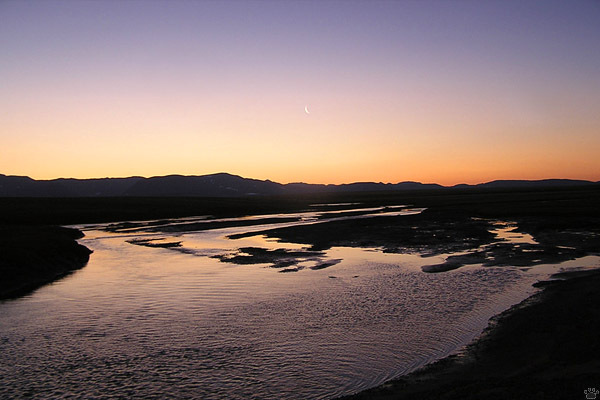 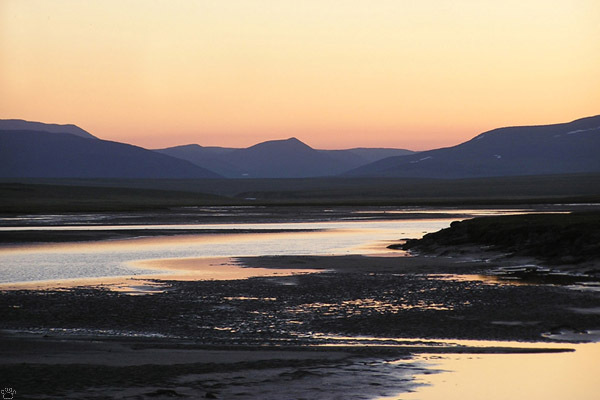 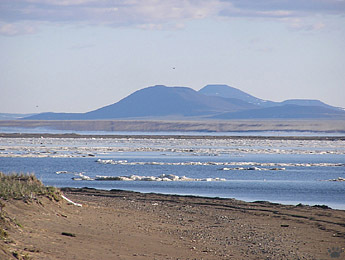 Tidal flats, Russkaya Koshka Spit, Chukotka, Russia. 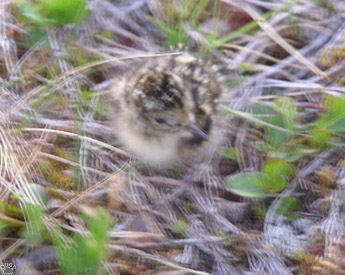 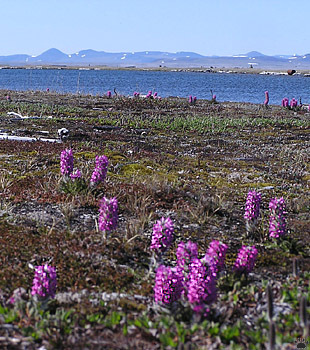 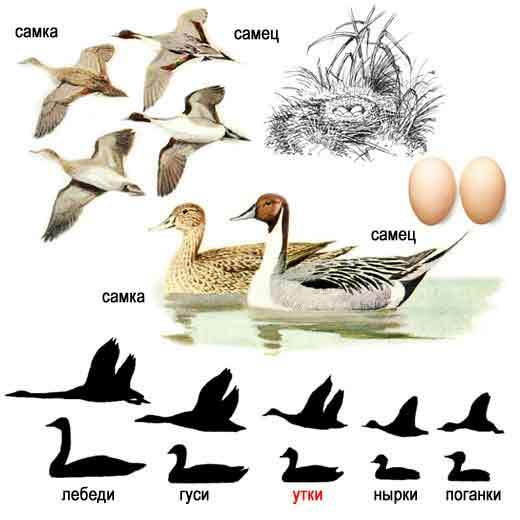 Of all bird species inhabiting sand spits of Chukotka, sandpipers are the most diverse group. 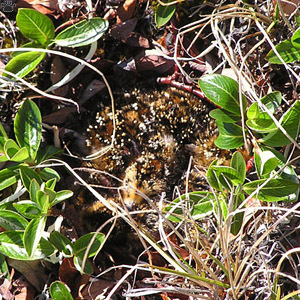 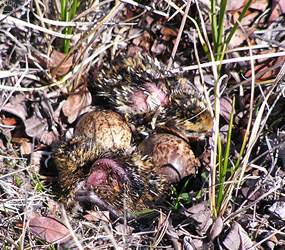 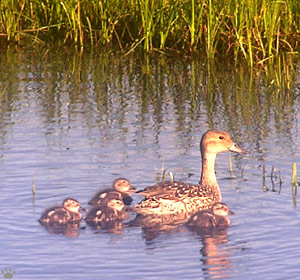 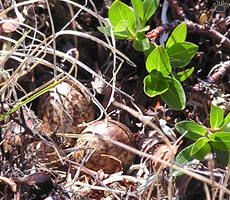 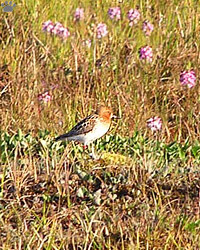 Sixteen species nest here, and at least seven more show up during migration. 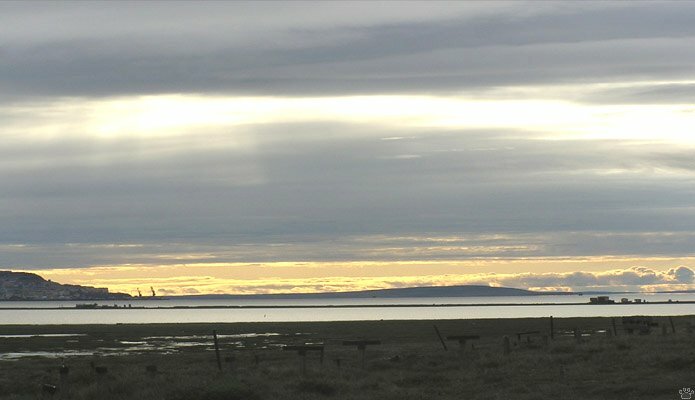 coast, without direct competition for food. 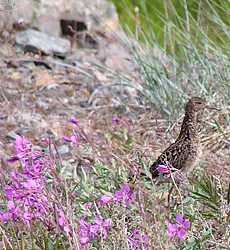 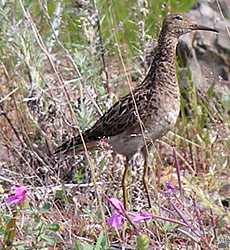 Sandsnipe, Calidris pusilla, Belyaka Neset. 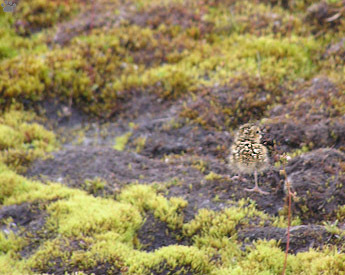 Small sandpipers are also the only Arctic birds that can be really difficult to identify. 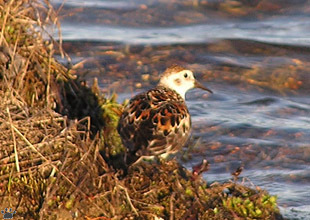 Dunlins, Calidris alpina, Russkaya Koshka Spit. 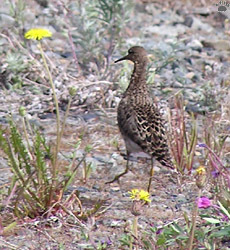 Rock sandpiper (C. ptilocnemis), Belyaka Spit. 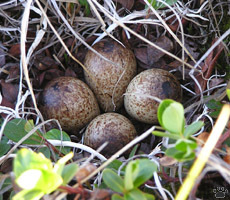 Nests of red-necked stint, Calidris ruficollis,, Belyaka Spit. 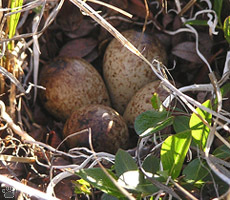 Red-necked phalarope, Phalaropus lobatus nest. 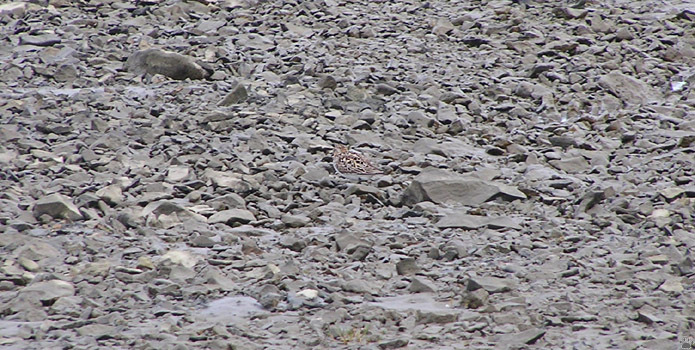 Temmink's stint, Calidris temminckii, chicks, Ioanna River spit. 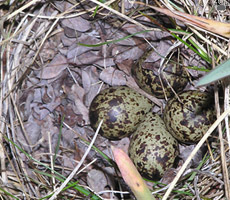 Various sandpiper species differ in their behavior at nest. 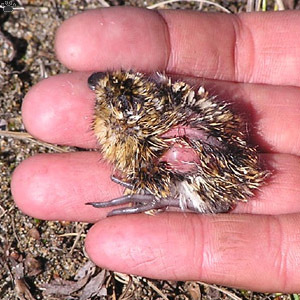 Temmink's stint are particularly tame, so their nests and chicks are relatively easy to find. 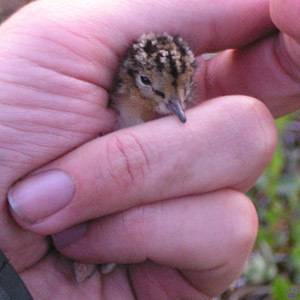 Temmink's stint chick, Ioanna River spit. 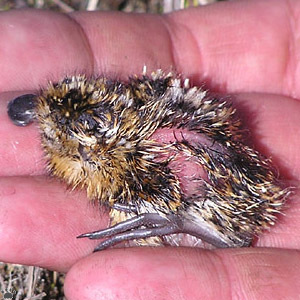 Spoon-billed sandpiper chick, Belyaka Spit. 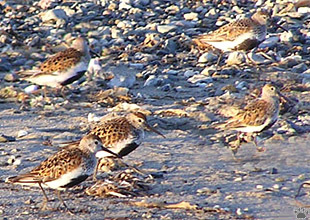 Spoon-billed sandpipers , Calidris pygmaeus, (nest in the middle), Belyaka Spit. 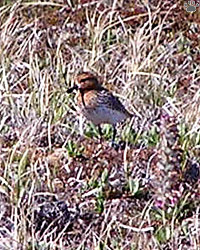 Spoon-billed sandpipers nest along the outer side of the spits, and feed on numerous small tundra lakes. 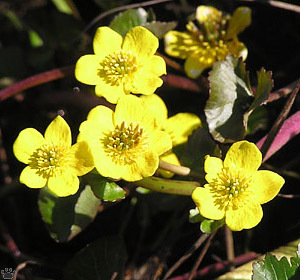 Marsh marigold, Caltha palustris arctica, is a common lake plant of coastal spits. 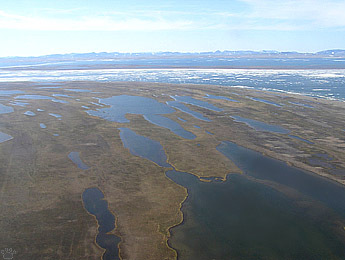 Belyaka Spit. 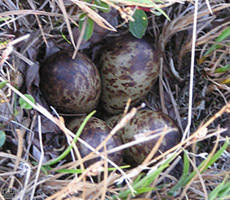 Long-tailed ducks, Clangula hyemalis, Russkaya Koshka Spit. 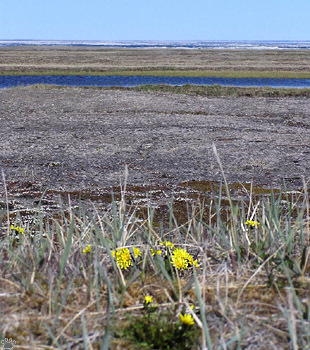 These shallow lakes have cold clear water, little or no fish, but lots of birds. 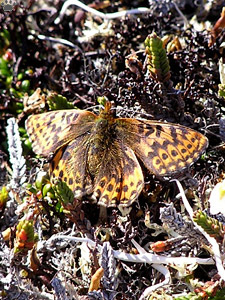 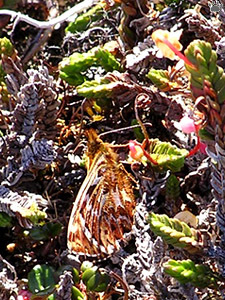 You might even see butterflies and dragonflies on coastal spits. 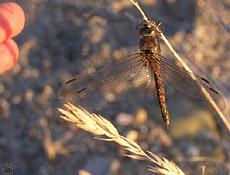 Azure hawker, Aeshna caerulea, Sbornaya Spit. 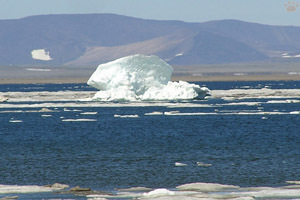 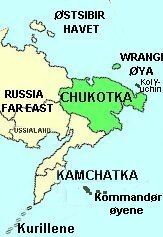 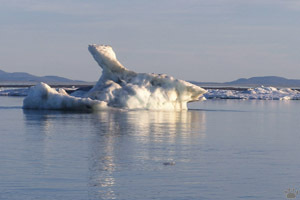 Spits along the northern coast of Chukotka are sometimes surrounded by sea ice until July. 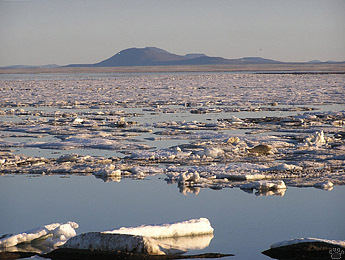 Sea ice off Belyaka Spit. 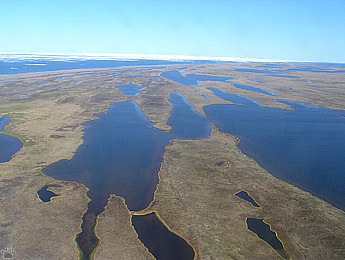 Even more Sea ice off Belyaka Spit..